Harold Eliot Varmus (born December 18, 1939) is an American Nobel Prize-winning scientist and was the 14th Director of the National Cancer Institute, a post to which he was appointed by President Barack Obama. He was a co-recipient (along with J. Michael Bishop) of the 1989 Nobel Prize in Physiology or Medicine for discovery of the cellular origin of retroviral oncogenes. He is currently the Lewis Thomas University Professor of Medicine at Weill Cornell Medicine and a Senior Associate at the New York Genome Center. Varmus was born to Beatrice, a social service worker, and Frank Varmus, a physician, Jewish parents of Eastern European descent, in Oceanside, New York. In 1957, he graduated from Freeport High School in Freeport, NY and enrolled at Amherst College, intending to follow in his father's footsteps as a medical doctor, but eventually graduating with a B.A. in English literature. He went on to earn a graduate degree in English at Harvard University in 1962 before changing his mind once again and applying to medical schools. He was twice rejected from Harvard Medical School. That same year, he entered the Columbia University College of Physicians and Surgeons and later worked at a missionary hospital in Bareilly, India, and the Columbia-Presbyterian Hospital. As an alternative to serving militarily in the Vietnam War, Varmus joined the Public Health Service at the National Institutes of Health in 1968. Working under Ira Pastan, he researched the regulation of bacterial gene expression by cyclic AMP. In 1970, he began postdoctoral research in Bishop's lab at University of California, San Francisco. 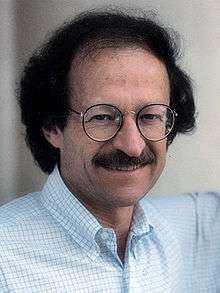 During the course of his years at UCSF (1970 to 1993), Varmus's scientific work was focused principally on the mechanisms by which retroviruses replicate, cause cancers in animals, and produce cancer-like changes in cultured cells. Much of this work was conducted jointly with Michael Bishop in a notably long scientific partnership. Their best-known accomplishment was the identification of a cellular gene (c-src) that gave rise to the v-src oncogene of Rous Sarcoma Virus, a cancer-causing virus first isolated from a chicken sarcoma by Peyton Rous in 1910. Their discovery triggered the identification of many other cellular proto-oncogenes—progenitors of viral oncogenes and targets for mutations that drive human cancers. Much of this work and its consequences are described in his Nobel lecture and Bishop's and in numerous histories of cancer research. Other significant components of Varmus's scientific work over the past four and a half decades include descriptions of the mechanisms by which retroviral DNA is synthesized and integrated into chromosomes; discovery of the Wnt-1 proto-oncogene with Roel Nusse; elucidation of aspects of the replication cycle of hepatitis B virus (with Donald Ganem); discovery of ribosomal frameshifting to make retroviral proteins (with Tyler Jacks); isolation of a cellular receptor for avian retroviruses (with John Young and Paul Bates); characterization of mutations of the epidermal growth factor receptor gene in human lung cancers, including a common mutation that confers drug resistance (with William Pao); and generation of numerous mouse models of human cancer. Notably, Varmus continued to conduct or direct laboratory work throughout his service in leadership positions at the NIH, MSKCC, and NCI. After the resignation of NIH Director Bernadine Healy in April, 1993, Varmus was nominated for the post by President William J. Clinton in July, and confirmed by the Senate in November. As the NIH director, Varmus was credited with helping to nearly double the research agency's budget; but his tenure was also noted for appointments of outstanding scientists to serve as Institute Directors; for excellent relationships with members of Congress and the Administration; for leadership on clinical and AIDS research; for policy statements about stem cell research, cloning of organisms, gene therapy, and patenting; for promoting global health research, especially on malaria; and for construction of new facilities, including a new Clinical Center and a Vaccine Research Center at the NIH. Varmus supported the presidential candidacies of Al Gore (2000) and John Kerry (2004). During the George W. Bush presidency, he gave lectures critical of the Administration's science policies. But he has also written a laudatory account of PEPFAR (the President's Emergency Plan For AIDS Relief), Bush's initiative to combat AIDS globally. Varmus declared his support for Barack Obama's quest for the Presidency early in 2008 and chaired the campaign's Science and Technology Committee. Following Obama's election, he was named by the President-elect as one of three co-chairs of PCAST (the President's Council of Advisors on Science and Technology). He resigned from that post to assume the Directorship of the National Cancer Institute (NCI) on July 12, 2010 after being named to the post by President Obama. On May 17, 2010, the White House announced that Varmus would become the 14th Director of the NCI, making him the first person to have served as Director of an individual NIH Institute after being Director of the entire NIH. In this capacity, despite diminishing budgets at all the Institutes including NCI, he started new administrative centers for cancer genomics and global health; initiated novel grant programs for "outstanding investigators," for "staff scientists," and for addressing "Provocative Questions." He also renamed the Frederick National Laboratory for Cancer Research and started an initiative there to study RAS oncogenes. During his tenure as NCI Director, Varmus took the unusual step of co-authoring with three non-governmental colleagues a critique of several practices prevalent in the biomedical research community. That essay has been the starting point for several subsequent efforts to reduce the hypercompetitive atmosphere in biomedical research. Varmus has been a frequent advisor to the US government, foundations, academic institutions and industry. Currently, he serves as a member of the Secretary of Energy's Advisory Board, the Global Health Advisory Board at the Bill and Melinda Gates Foundation, the board of directors of the International Biomedical Research Alliance, the Lasker Foundation Prize Jury, and the Scientific Advisory Board of the Broad Institute at Harvard and MIT, and he chairs advisory groups for the Faculty of 1000 and the Global Alliance for Genomics and Health. In the past, he was chairman of the Grand Challenges in Global Health at the Gates Foundation, a member of the World Health Organization's Commission on Macroeconomics and Health, and an advisor to Merck & Co., Chiron Corporation, Giliad, and Onyx Pharmaceuticals. Varmus has been married since 1969 to Constance Louise Casey, a journalist and science writer. They live on Manhattan's Upper West Side and have two sons: Jacob, a jazz trumpet player and composer who lives in Queens, and Christopher, a social worker who lives in Brooklyn. Varmus and Jacob have performed a series of lecture-concerts entitled "Genes and Jazz" at the Guggenheim and Smithsonian Museums, the Boston Museum of Science, the John F. Kennedy Center for the Performing Arts and the South Asian Summer Festival in Vancouver. ↑ "President Obama to Appoint Harold Varmus, M.D.". National Cancer Institute. Archived from the original on May 27, 2010. 1 2 3 4 Les Prix Nobel. The Nobel Prizes 1989, Editor Tore Frängsmyr, Nobel Foundation, Stockholm, 1990. ↑ "Biography". National Cancer Institute. Archived from the original on January 4, 2014. 1 2 Jamie Shreeve. "Free Radical". Wired Magazine. June 2006. Issue 14.06. ↑ Varmus, H.E. ; Perlman, R.L. ; Pastan, I. (1970). "Regulation of lac messenger ribonucleic acid synthesis by cyclic adenosine 3'-5' monophosphate and glucose". J. Biol. Chem. 245: 2259. ↑ Stehelin, D.; Varmus, H. E.; Bishop, J. M.; Vogt, P. K. (1976-03-11). "DNA related to the transforming gene(s) of avian sarcoma viruses is present in normal avian DNA". Nature. 260 (5547): 170–173. doi:10.1038/260170a0. ↑ "Nobel Lecture by Harold E. Varmus – Media Player at Nobelprize.org". www.nobelprize.org. Retrieved 2016-03-09. ↑ "Nobel Lecture by J. Michael Bishop – Media Player at Nobelprize.org". www.nobelprize.org. Retrieved 2016-03-09. ↑ Mukherjee, S. (2010). The Emperor of All Maladies: A Biography of Cancer. New York: Scribner. pp. 360–380. ↑ Varmus, H. (1988-06-10). "Retroviruses". Science. 240 (4858): 1427–1435. doi:10.1126/science.3287617. ISSN 0036-8075. PMID 3287617. ↑ Brown, P. O.; Bowerman, B.; Varmus, H. E.; Bishop, J. M. (1987-05-08). "Correct integration of retroviral DNA in vitro". Cell. 49 (3): 347–356. doi:10.1016/0092-8674(87)90287-x. ISSN 0092-8674. PMID 3032450. ↑ Nusse, R.; Varmus, H. E. (1982-11-01). "Many tumors induced by the mouse mammary tumor virus contain a provirus integrated in the same region of the host genome". Cell. 31 (1): 99–109. doi:10.1016/0092-8674(82)90409-3. ISSN 0092-8674. PMID 6297757. ↑ Nusse, Roel; Varmus, Harold (2012-06-13). "Three decades of Wnts: a personal perspective on how a scientific field developed". The EMBO Journal. 31 (12): 2670–2684. doi:10.1038/emboj.2012.146. PMC 3380217 . PMID 22617420. ↑ "Biochemical and genetic evidence for the hepatitis B virus replication strategy". Science. 232: 477–484. doi:10.1126/science.3961490. ↑ Jacks, T. and Varmus, H.E. Expression of the Rous sarcoma virus pol gene by ribosomal frameshifting. Science 230:1237, 1985. ↑ Bates, P; Young, JA; Varmus, HE (1993). "A receptor for subgroup A Rous sarcoma virus is related to the low density lipoprotein receptor". Cell. 74: 1043–51. doi:10.1016/0092-8674(93)90726-7. PMID 8402880. ↑ Pao, W.; Miller, V.; Zakowski, M.; Doherty, J.; Politi, K.; Sarkaria, I.; Singh, B.; Heelan, B.; Rusch, V.; Fulton, L.; Mardis, E.; Kupfer, D; Wilson, R.; Kris, M.; Varmus (2004). "never smokers" and are associated with sensitivity of tumors to gefitinib and erlotinib". Proceedings of the National Academy of Sciences. 101: 13306–11. doi:10.1073/pnas.0405220101. PMC 516528 . PMID 15329413. ↑ Bishop, J.M. ; Kirschner, M.; Varmus, H.E. (1993). "Policy Forum: Science and the New Administration". Science. 259: 444–445. doi:10.1126/science.8424162. ↑ Varmus, Harold (2009). The Art and Politics of Science. W.W. Norton. pp. 140–196. ↑ Varmus, Harold (2006). AAAS Bulletin. pp. 6–11, Vol. LIX, No.4. ↑ Varmus, H. Making PEPFAR: A Triumph of Medical Diplomacy. Science & Diplomacy 2(4) December, 2013. ↑ "Obama Chooses Science Team for Planetary Survival, Prosperity". NBC Southern California. Retrieved 2016-03-10. ↑ "President Obama to Appoint Harold Varmus, M.D., to Lead the National Cancer Institute". nursezone.com. Retrieved 2016-03-10. ↑ Varmus, H.; Harlow, E. (2012). "Provocative Questions in Cancer Research". Nature. 481: 436–437. doi:10.1038/481436a. ↑ "Director's Page". National Cancer Institute. Archived from the original on 31 March 2015. ↑ "The RAS Initiative". National Cancer Institute. Retrieved 2016-03-10. ↑ "Harold Varmus to resign as head of US cancer institute". Nature News & Comment. Retrieved 2016-03-10. ↑ Nobel laureate Harold Varmus to join Weill Cornell April 1," Cornell Chronicle, March 5, 2015. ↑ Alberts, B.; Kirschner, M.W. ; Tilghman, S.; Varmus, H. (2014). "Rescuing U.S. Biomedical Research from its Systemic Flaws". PNAS. 111: 5773–5777. doi:10.1073/pnas.1404402111. PMC 4000813 . PMID 24733905. ↑ "Home – Rescuing Biomedical Research". Rescuing Biomedical Research. Retrieved 2016-03-10. ↑ "Harold Varmus to Step Down as President of Memorial Sloan Kettering Cancer Center". mskcc.org. ↑ "Message from Harold Varmus" (PDF). 12 January 2010. ↑ "PLOS History". www.plos.org. Retrieved 2016-03-10. ↑ "Free Radical". WIRED. Retrieved 2016-03-10. ↑ Vastag, Brian (2000-03-01). "NIH Launches PubMed Central". Journal of the National Cancer Institute. 92 (5): 374–374. doi:10.1093/jnci/92.5.374. ISSN 0027-8874. PMID 10699067. ↑ "Public access to NIH research made law". www.sciencecodex.com. Retrieved 2016-03-10. ↑ Brown, Patrick O; Eisen, Michael B; Varmus, Harold E (2003). "Why PLoS Became a Publisher". PLoS Biology. 1 (1): E36. doi:10.1371/journal.pbio.0000036. PMC 212706 . PMID 14551926. ↑ Staff (July 2016). "People". Genetic Engineering & Biotechnology News (Paper). 36 (13). p. 37. ↑ Varmus, H.; Klausner, R.; Zerhouni, E.; Acharya, T.; Daar, A. S.; Singer, P. A. (2003-10-17). "Grand Challenges in Global Health". Science. 302 (5644): 398–399. doi:10.1126/science.1091769. ISSN 0036-8075. PMC 243493 . PMID 14563993. ↑ "Macroeconomics and health : investing in health for economic development / report of the Commission on Macroeconomics and Health" (PDF). ↑ "Professor Harold Varmus ForMemRS". London: Royal Society. Archived from the original on 2015-10-13. ↑ "Harold E. Varmus – Nobel Lecture: Retroviruses and Oncogenes I". nobelprize.org. ↑ Goldberger, Paul (2008-12-01). "Swing Science". The New Yorker. ISSN 0028-792X. Retrieved 2016-03-10. Wikimedia Commons has media related to Harold E. Varmus. Harold Varmus's short talk: "How I Became a Scientist"
Harold Varmus's short talk: "Changing the Way We Publish"
Review: Michael A. Rogawski. "The Art and Politics of Science (book review)" Perspectives in Biology and Medicine 52.1 (2009): 637–642. 2015– Director, Office of Urban Affairs Adolfo Carrión Jr.
*Senate-confirmation pending. †Remained from previous administration(s).